well you didn’t think I would just blurt it out now did you? I have chosen a “word of the year” for the last 3 years. Prior to that I would write the endless list of New Years resolutions on New Year’s Day that most times wouldn’t even make it past the first week. I got tired of doing that every year and then I also got tired of feeling like such a loser when the year ended and I hadn’t accomplished anything on my list. In 2015 I read about picking a “word of the year.” Just one word. I thought this was a great idea and wanted to give it a shot since I was so over the whole resolution thing. The word you pick should define you and the direction you want to see things go in your life. It should set the tone and focus for your whole year. Resolutions can be broken so easily and make you feel like giving up. But having a “word” for the year is different, If you forget about it for one day or even a week, it is still there waiting and you have the rest of the year to focus on making it work for you. I decided I needed to give this “word” thing a try and chose the word “Gratitude” for 2015. I was trying to find things to be grateful for after losing my dream job in February of that year. Every day I wrote things down in a journal that I was grateful for and it made me so aware of what I “did” have and not focus so much on what I had lost. Last year, my word was “JOY”. I loved the word and tried to find as much of it as I could, and I did. That is.. I did until July when my son died. It was very hard to find any kind of JOY after losing him. But somehow the word kept coming up and I started trying to find more of it. And unbelievably, I did. I had so many friends and family members who showed me love and compassion that it made me believe I could have JOY even in the darkest hours of my life. So you see it works. If I could find JOY at the worst time of my life, then anyone can do this and make it work for them too. Ok, I have made you wait long enough. Here it is…My word for 2017 is.. drum roll…”Healing”. I picked it due to the obvious fact that I am healing after losing my son…but I picked it for other reasons as well. I honestly just love helping people heal. I make essential oils for my friends and family members to help them with health issues. I love showing them alternative ways to help them heal by using Coconut Oil and Apple Cider Vinegar instead of medicine. 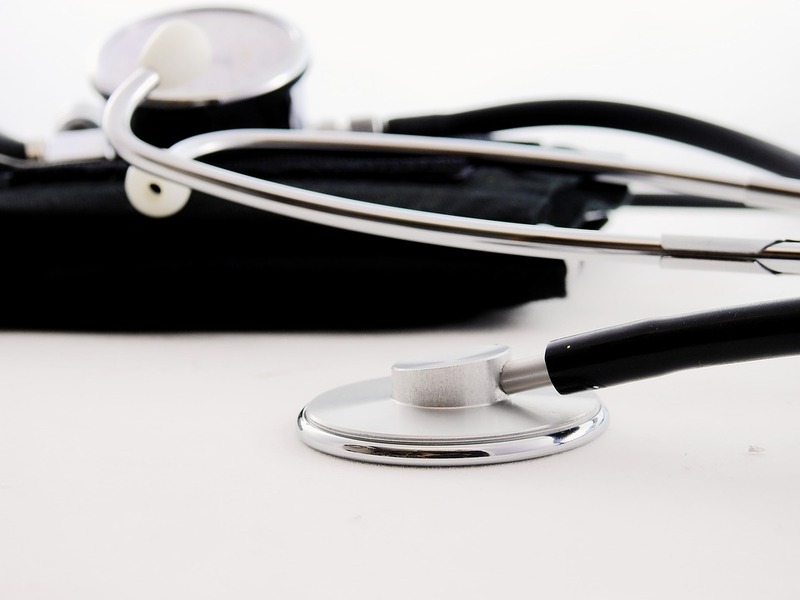 I have helped several friends who had severe health issues, so much so that their doctor asked them what they did differently to get these results. When they said they were using Apple Cider Vinegar, their doctors all said keep doing what you’re doing cause it is working. Score! Another reason I picked “Healing” is I am also looking into taking classes so I can teach Reiki. If you have never heard of this you need to. It is amazing. I looked up the meaning in the dictionary and here is a simple explanation of it. 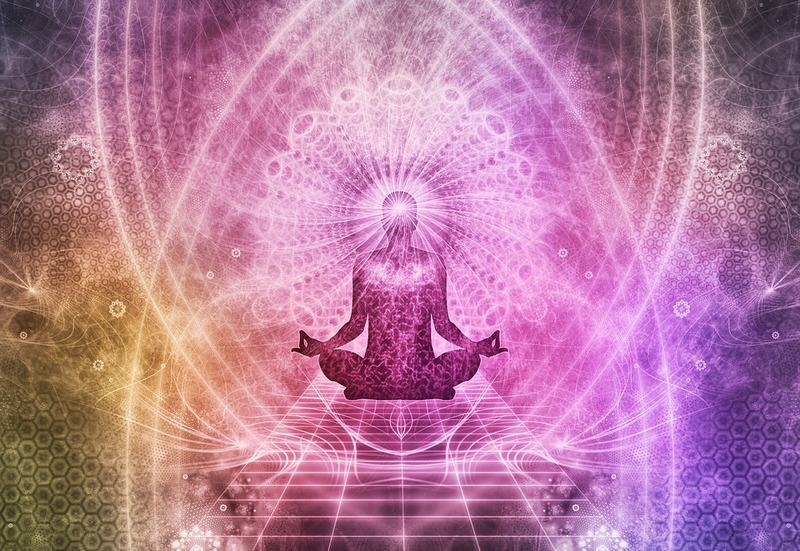 “Reiki is a technique based on the principle that energy can be channeled to the recipient by means of touch, activating the natural healing process and restoring physical and emotional well-being.” Sounds cool, right? Well it is and I want to learn more about it and possibly be a Reiki Master. I want to heal others and also myself. So you can see how having a “word of the year” can truly define your year and your life. I am excited for what this year holds in store for me and also to see how many ways I can “Heal” or help someone else “Heal”. I hope I inspire you to pick a word for 2017. A few of my friends already do this. One of my friends picked “Rejuvenate” and another picked “Grateful.” They both helped me to find “Joy” this year so of course, I plan on helping them find ways to be rejuvenated and grateful. Maybe I can also be helpful by “Healing” them in some way. Well now you know what a “word of the year” is. And you know mine. Have you ever had a “word of the year”? Are you going to pick one for this year? I hope you do! Please comment and tell me what it is. How I Got Rid Of My Cold, Naturally! Disclaimer: “The Helpful Hellion is a participant in the Amazon Services LLC Associates Program, an affiliate advertising program designed to provide a means for sites to earn advertising fees by advertising and linking to Amazon.com.” This means I could make a little money if you click on one of the links below and actually buy something. Also as stated before, I am not a doctor, nor do I pretend to be one. Do not try anything here if you have serious issues. Please consult your physician. I only tell my story and what happened when I used this. If your toes fall off after using these oil mixtures, don’t blame me! Not wanting to go the medicine route as anyone that knows me even a little bit knows that I do not do medicine. I started researching my trusty copy of The Complete Book of Essential Oils and Aromatherapy and found immediate relief from the sneezing. A drop of Lavender 100% Pure Therapeutic Grade Essential Oil by Edens Garden- 10 ml rubbed on the inside of your cheeks..who knew? But I did it and did not sneeze again, even once. It really did amaze me. How did I not know about this miracle cure for sneezing? 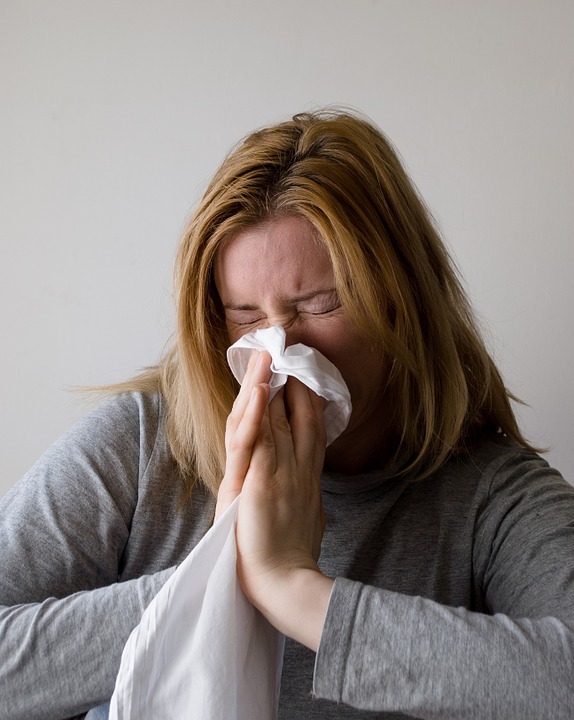 So that took care of the sneezing, now what to do about the achiness, coughing and slightly feverish feeling? Back to the book. Die some more research and then I made up a concoction of Majestic Pure Fractionated Coconut Oil 16 Oz (two tablespoons) and 5 drops each of Lavender, Eucalyptus and Peppermint oils in a little bottle and then shook it up and rubbed that on my feet, chest and back. I did this several times throughout the day. I especially reapplied it right before bed. Make sure to rub it on the feet and put on some nice thick warm socks. I love Edens Gardens Essential Oils, they are a very good quality for the price. I have used them often and have had no problems. I don’t take them internally so I don’t worry about having some kind of weird reaction from them. But you should always do a little test to see if your skin can take the oil and never put it directly on the skin with out being diluted in a carrier oil, such as Coconut Oil, Grapeseed Oil or Sesame Seed Oil. I did rub the lavender oil on my cheeks but it was such a small amount and I feel like it went into my system through my cheeks, I didn’t really swallow it. Surprisingly, it did actually taste pretty good. The reason I picked these three oils are…Lavender oil has antiseptic and anti fungal properties. Peppermint oil has antimicrobial properties and a calming effect. Eucalyptus oil has a wide range of properties include anti-inflammatory, antispasmodic, decongestant, antiseptic, and antibacterial as well as other great qualities. You can also do this and I highly recommend it… put a few drops of the lavender and eucalyptus oils on a few tissues and keep them near by or carry them in your purse in a baggie to pull out and sniff if you get congested. A few drops on a tissue by your pillow also helps you to breathe freely and sleep more soundly. A steaming hot bath with 3 drops each of Thyme, Tea Tree, Eucalyptus and Lemon essential oils will relax you and open up your sinuses. If you don’t have a bath or the time for one, you can put the oils on a washcloth and lay that on the bottom of the tub while taking your shower and it will still give you some much needed relief. Diffusing the house or your bedroom with the above mentioned oils will help get rid of the germs and help you to breathe and feel better. I use this one from Amazon.. I did a few other things to get rid of the “bug”. I ate things that were good for me. I never remember if it’s, “starve a fever but feed a cold or feed a fever and starve a cold” ..whatever…but what if you have both…then what? Do you just starve? Well, since I wasn’t sure, I ate when I was hungry. I do have to disclose that I may or may not have had some ice cream…but that was for my 100 degree fever..and it worked. Fever was gone…I had tea every day this week instead of coffee and cinnamon on my bagels. I did take my Bragg Organic Apple Cider Vinegar 32 oz. straight twice a day instead of just once. You don’t need to do it twice..or straight, you can out it in some water with lemon or in your tea. And I got lots of rest and slept very soundly, I think due in part to the lavender. The best thing I ate for my “bug” was the homemade chicken noodle soup my daughter in law made me. Nothing like homemade soup especially when you don’t have to be the one making it. There is just something to be said for this old remedy. It really truly works and it’s yummy! I can not believe all of this worked. I have never gotten over a cold or a “bug” so quickly in my whole entire life. You better believe I will be doing these things again should the dreaded “bug” return. I hope you try some of my natural remedies next time you get a cold or the “bug” and that they work as well for you as they worked for me. I wish you all good health and long life! Do you have any natural remedies that you would like to share, maybe something passed down from your grandmother? I guess the reason for that is we had to learn these life lessons ourselves. No one can teach them to you and we can’t teach them to anyone else. No one would listen anyway…and we didn’t either. But these lessons helped make me into the person I am today, so I guess that is really what it’s all about. Here are my 10 lessons that I have learned at this point of my life. 1. Love the people you love like there is no tomorrow – Because sometimes there is no tomorrow and the “I should haves” will haunt you forever. Tell people you love them and show them by the way you treat them. You still will feel the loss, you just won’t have so many regrets. 3. Time Flies – Spend quality time with your children. The dishes don’t need to be washed right away and the house can wait to be cleaned. The kids will be out of the house and in college before you know it and the house will be clean and very quiet. You will never get this time back again. The same goes with the grandchildren. Don’t spend a lot of money on them, spend time with them. 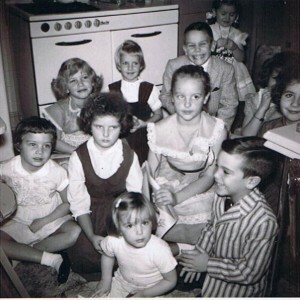 I really don’t remember anything my parents or grandparents gave me, but I remember things we did together. 4. Work Smart, Not Hard – How many times have we heard this? But here is my take on work…We can’t work at the expense of everything else in our lives. Our families, our friends and our health. We need to take those vacation days and take time to do things that make us happy and fulfilled. No one is going to reward you for working those extra hours at night on that report or the weekends you spent on the special project. In fact, the company could downsize tomorrow and all that extra work you did and time away from family would be for nothing. 5. You Have to Have the Lows in Life, to Enjoy the Highs – Another one of these quotes we have heard so often. I never believed this when people said it to me when I was young. But as I grew older I do see some truth in this. If we keep going along in life and nothing bad ever happens we get lured into a false sense of security and entitlement. After a few bad years you really learn to truly appreciate those good times and be grateful for them. 6. Laugh – Laughter truly is the best medicine. We need to learn to laugh at ourselves and life and not take everything so seriously. We are too easily offended these days and it causes us to be angry and stressed out. Feeling like this doesn’t do our bodies or minds any good, so laugh….a good laugh can change everything. 7. Live in the Present – Don’t dwell on the past or worry about the future. The past is just that, the past..it’s over and we can’t do anything to change what has happened. The future is unknown and all the worrying, sleepless nights and stressed out days won’t do one thing towards making it better. We should just have gratitude and give thanks for each day we are alive. And try to find small moments that bring us joy and peace throughout the day. There is always something to be grateful for every single day. Find it! 9. Look for the Good – If we focus on negativity, that is what we see and feel. If we focus on good, we will see and feel more good things. I know this isn’t easy to do. I have been through one of the worst years of my life. But I’m here, I’m alive and have so much to be thankful for. I try to concentrate on what I have and not what I don’t have. 10. Take Care of Your Body – It is the only one we get. We can’t trade it in like we do with our cars. I think when we are young we feel like we are invincible and that we can do anything and our bodies will be fine. Too much sun, too much of the wrong kinds of food, too much of everything takes a toil on us and can shorten our lives. Even if we do manage to live a long life, it can make those years worse with all the damage we have done to ourselves. Eat healthy, exercise and get a good 7 or 8 hours sleep every night. And take care of your “one” body. What lessons have you learned about life? 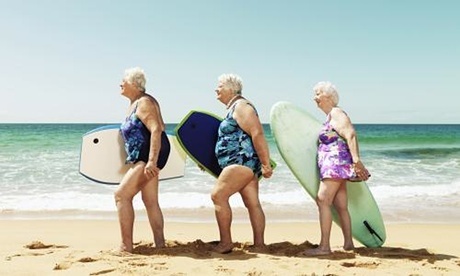 Ten Reasons Growing Older Rocks!! It’s been said “youth is wasted on the young”, but I couldn’t find who really said it. Some sources say George Bernard Shaw and others attribute it to Oscar Wilde and neither of their quotes are the same. Anyway, the meaning of this is, when you are young you don’t really appreciate it. You are young in body and mind and think you will live forever. Not until you reach a certain age do you fully appreciate what you have. And considering “the alternative” as stated so eloquently by Maurice above, here are my top ten reasons growing older rocks. 1. Best thing ever…Senior Discounts…these are awesome….and you don’t even know most of them even exist. Don’t feel bad about asking for them, we’ve earned them…and more. 2. Younger people excuse you(most of the time anyway) when you say or do something stupid. Because of course, we’re old and don’t know any better… Not that I ever say or do something stupid. 3. People think we know everything about everything! I guess because we are old and have lived though so much, we must have good advice. The flip side to this is, when some people don’t take the advice we give them… I guess we shouldn’t waste our breath, who knows how many of them we have left. 4. We don’t have to worry or stress about the big choices in life anymore. Like what career choices to make or if we should or shouldn’t have kids. Most of the big choices have been made by us or for us. We are past that point now and can do what we want. We can work if we choose to work and do what we love to do instead of working to make a paycheck. And at least in my case there are no more kids going to be happening any time soon. Maybe a dog or cat…but that’s it. 5. It is a time in our lives when we truly have learned that looks can only get you so far. It’s not on the outside, it’s what’s inside that matters. So this means we can dress for us and for comfort. I do like to be fashionable, just not every day. If I want to lunge around in my sweats all day, I will. And no more 4 inch heels for me. I killed my poor feet for far too long. 6. Our relationships with friends and family are real. I think we have come to the point where we have lost so many people and know that we only have so many more years left so the relationships we have in our lives now are the ones we want to be there. So we make time for them and cherish each moment we spend with them. When we were younger, our friends were all going through the having kids thing, the moving for careers thing and various other reasons why we didn’t have time or were in different places in our lives. Now we are for the most part at the same place and we have the time. When we are with family members now, there is an awareness that the time we are spending together is special. 7. The most fun thing ever is that we have time to be with our grandkids, to enjoy them, take them places and then send them home to their parents. Having grandkids is a lot like having kids only so much better because we don’t have the responsibilities we had with our kids. It is not on us to make them come out right. So we can just enjoy them. 8. We can do things we want to now, not because we have to. I have started writing at the age of 65. It is something I always wanted to do. Something I dreamed of doing, but just never seemed to have the time. I wrote as a teenager and then again in my late 20’s but then somehow just never started back up again. But I never lost the desire or the dream. It is never too late and we are never too old! 9. Naps! We can take naps and we can sleep in or go to bed early. There is no alarm waking us up for work. Getting up when I want to get up is the best feeling in the world. Getting up at all is even better. 10. I don’t have to be anywhere on anyone’s schedule but mine. If I want to spend the whole day reading, watching tv or on Facebook, I can do that. I sometimes feel guilty and then I stop and think about it, I deserve this, I earned the right to do what I want when I want. So I do! These are my top ten. I’m sure I can think of more. I will end with this quote from Bernard Baruch, “To me, old age is always fifteen years older than I am”. I feel the same way. Are you enjoying getting older? What are some of the reasons you enjoy it? I love Coconut Oil. I love to cook with it, take it everyday by the spoonful or use it as a treatment when I need some TLC for a certain issue. Here are some of my favorite ways to use it and why. 1. Take a spoonful everyday. It has wonderful antibacterial properties. Doing this daily can help with a lot of issues. Candida, kidney stones, liver problems, IBS and other digestive problems. Please consult your Doctor first if you have any serious issues. 2. Put it on your skin everyday. It is a great sunscreen and also very moisturizing. It is also not extremely greasy. 3. Use it for cooking. You can use it just like any vegetable oil. It is more easily digested than other oils and contains the “good” saturated fats the body needs. Because of this it is good for your heart. And it makes some very tasty scrambled eggs. 4. Put it on your feet. It has anti fungal properties so it is good for athletes foot or toe nail fungus. 5. 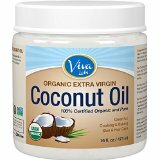 Coconut oil can be a great help when you are trying to lose some weight. If you are craving something, like ice cream(just as a for instance, not saying I ever crave this) take a spoonful of coconut oil instead. For some reason it satisfies the craving. It also helps with digestion, due to its antimicrobial properties, which can also be a help with weight loss. 6. It is a wonderful mouth rinse. It has been shown to prevent cavities and heal gums. My gums have been healthier since using this and my daughter in law has not had as many cavities as she has had in the past. Just take a little bit and swish it around your mouth for a few minutes and then spit it out. Follow up with some water and spit that out as well. You should do this for at least 10 minutes, but any time you spend doing it is better than not doing it at all. 7. Great as a massage oil for pain. I recently had my back go out so I put some peppermint oil, frankincense oil and coconut oil in a bottle and rubbed it on my back. It really alleviated the pain and helped with the healing of the muscle. And it smelled good too! 8. Coconut oil can be a wonderful stress reliever. Rub some on your forehead if your are feeling stressed out or have a headache. 9. It has recently been shown to help Alzheimers patients. Some studies have shown it has increased brain function and slowed down the process of alzheimers. I don’t know about you but I need all the help I can get with increasing my brain function. 10. Coconut oil is wonderful for your hair and scalp. You can massage some on your scalp and then shampoo as usual. Also put a little on after hair has dried to tame down any frizzies and help with dry hair. It has also been known to help with preventing head lice. There are a lot of other things coconut oil can do for you. But these are my favorites and ones I have tried and worked for me. If you want to buy some you can click on the jar below. It takes you to Amazon and my favorite brand. As always I am not a physician, so if you have any serious issues please consult your doctor before trying this. Thanks for reading and good health! 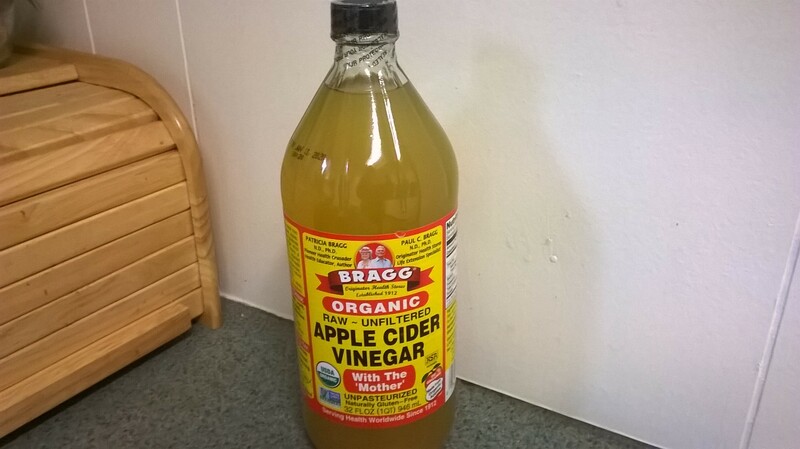 Apple Cider Vinegar, as many of you may know, is my number one go to cure all. Sesame Seed Oil is number two on my list for a variety of reasons. Today I will talk about the top 10. 1. 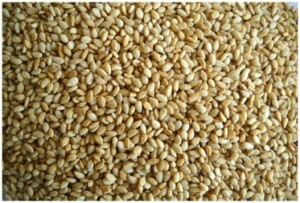 Sesame Seed Oil has a high zinc content which makes it great for your skin. It has healing properties and produces collagen. Making it wonderful as a moisturizer and as a massage oil. 2. The seeds contains high levels of magnesium which has been known to prevent and help with some diseases such as diabetes and high blood pressure. Also contains copper which can help those with rheumatoid arthritis. 3. 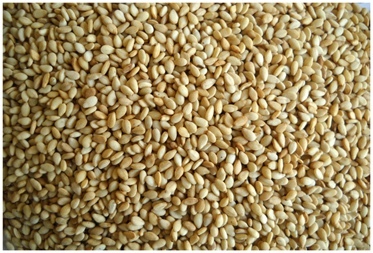 Sesame seeds contain calcium, tryptophan and thiamin, which have calming effects and can help with pain, anxiety, depression and sleeping issues. 4. The oil has been shown to help improve the liver. Need I say more? 5. The healing properties of this seed are numerous as I mentioned above. Because of the zinc and it’s antioxidant properties it can prevent wrinkles, help with psoriasis and may lighten age spots. Start as early as possible using this, I have seen some of my age spots lighten a bit. I just wish I would have found this “wonder oil” sooner. 6. The oil can be used as a facial cleanser. It has amazing detox and healing properties due to the zinc and is very easy to make. Mix together 1/2 cup sesame seed oil and 1/2 cup Apple Cider Vinegar(if you don’t know about all the wonderful things ACV does, please read my earlier post on that) Throw some water on your face first and then use this mixture, leave on for a brief moment and then wash with warm water and your regular soap or cleanser. 7. It heals cuts, scrapes and helps with skin problems such as acne, which has a tendency to pop(no pun intended) up again later in life. Also tightens skin and stops itching. There has been some studies done where it has helped skin cancers or at least prevented it. I hesitate to promote this, as I do not know this to be a fact. But it can’t hurt. 9. I personally use it every morning as a serum under my moisturizer. I have noticed my skin getting softer and dry patches I had have disappeared. 10. And last but not least it works wonders on dry, cracked heels. Believe me when I say I have tried all the “cures” over the years and this is the best. Rub some on your feet every night, put on some socks and voila in the morning.. soft feet. It takes a few weeks to see the improvement but it is much better than the smelly Vicks or some of the other horrible things I have tried. This list shows you a few of the benefits of Sesame Oil. You can also use the oil in cooking instead of vegetable oil. It has healthy fats and does not burn as quickly as some other oils. Make your salad dressing with it or just throw some seeds in your normal recipes. If you are making bread or cake throw some seeds in and no one will even notice(well they might, but its good for them). You can put some in your smoothies. Note: I am not a doctor, nor do I pretend to be one. This works for me and I share my stories on what I use in hopes it may help others. If you take medication and think something may interact, please check with your doctor before trying anything I suggest. Good luck and good health! I have provided a link to the one I use for my skin. Just click on the picture and it will take you to Amazon to purchase it. I always search for the best cost and best brand with highest rating from other users.